After closing down the season in United States, ending our flamenco dance and singing classes and having been sold out for “Al Son Son”, “Circo de la Luna” and “Tablao Sevilla” shows, we are back in our homeland to continue promoting this art. Sevilla was the first stop, where we shared the stage with other artists last June at the Tablao El Arenal; this was just the beginning, one of the most emblematic places in Madrid, the Tablao Flamenco Villa Rosa, opens the new season in July with a series of weekly shows that will count with our presence. Since the dates will constantly be updated, it is advisable to visit their webpage to consult the performance calendar and book the show that meets your preferences. Furthermore, we won’t be performing in Madrid only; In Barcelona, Sonia’s home town, we close this Spanish tour with the Festival Puente a las Artes Sonoras (PAS) in Martorell, that celebrates its third edition from the 8th to the 23rd of July with one of the most eclectic programs. We will perform the show “Tablao Sevilla” on Sunday, July 23rd at 10:30 pm. The show will be outdoors and free of charge. 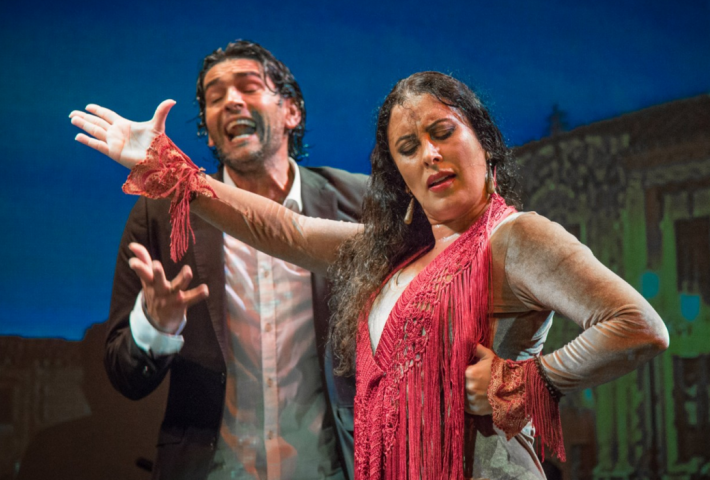 Will be back to NY with the new Flamenco season at the beginning of August.